Do you find the task of selecting the perfect skin care regimen overwhelming..”What is my skin type?” “Why do I look older than my friends?” “How many different products will I have to try before I find the perfect product for me?” Sound familiar? 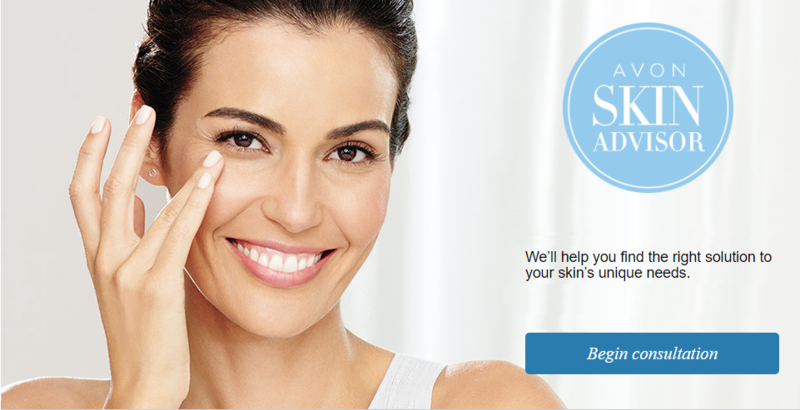 Take the Avon Skin Advisor Quiz to find out your 4 step regimen. You can take our quick and easy quiz to find an easy & perfect for you skin care regimen which will give you your best results for your skin care concerns. Women in their 20s show few signs of aging. Their skin is smooth, has even tone, and has very few lines, if any. A woman in her 30s generally starts to see the early signs of aging. She starts to notice fine lines. Her skin tone may be slightly uneven, and she may even have some rough patches on her skin. And her eyes? She may feel her eyes are tired and puffy looking. Now she’s into her 40s where moderate signs of aging start to appear. Most women in their 40s start to see some wrinkles. She likely has more pronounced uneven skin tone and some discoloration. Her skin texture starts to change, and her eyes are really starting to show signs of aging. In her 50s, moderate signs of aging have become more advanced signs of aging. And women in their 60s and higher have the most advanced signs of aging. Here are six common factors which can accelerate the skin’s natural aging process. Select each of them to learn more. Smoking deprives skin of nutrients and oxygen, leaving it looking dull and lifeless. Smoking also causes harmful free radicals, which weaken collagen and elasticity, accelerating the aging process. Stress and lack of sleep can lead to dryness, sensitivity, acne, excess oil, or lackluster skin. Getting enough restorative sleep is vital to give your skin time to repair and rejuvenate. Pollutants in the air coat skin with grime that can block pores. Free radicals can break down the skin’s structure, leading to wrinkles, roughness, dehydration, and loss of elasticity. The 15,000 facial expressions you make every day can damage your skin. Frowning, smiling, squinting – the consistent movement of facial muscles – cause skin fibers to slacken. Over time, these creases become wrinkles. Fast food, sugar, and empty calories can wreck both your waistline and your skin. The more nutrient dense your diet is, the healthier your skin will be. Eat foods rich in essential fatty acids, vitamins, and antioxidants. Even the way you sleep can increase the appearance of wrinkles. Side sleeping can cause lines on your chin and cheeks. Sleeping face down can create lines on your forehead. Sleeping on your back is the best way to prevent lines. 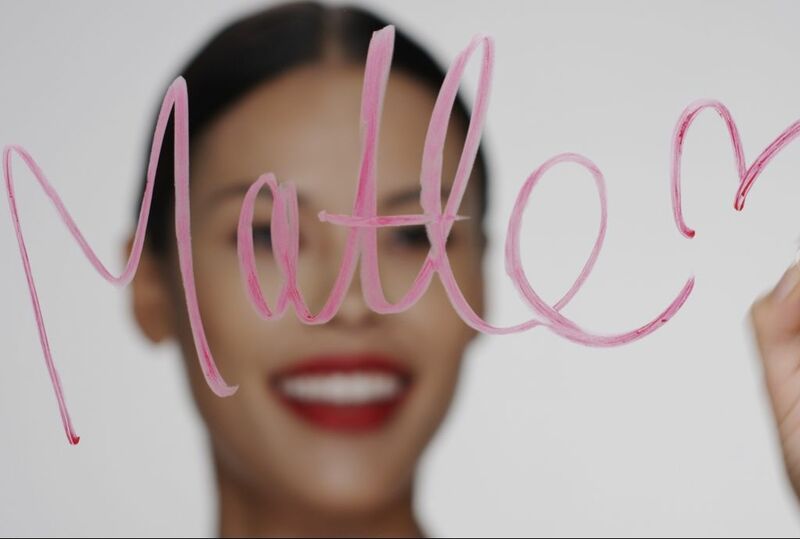 Skin type is how your skin naturally acts. Is your skin normal, oily, dry, or combination? Do you know your skin type? Knowing your skin type helps you find the best product texture for your skin, such as gels, lotions, or creams. Skin concerns are the signs of aging or imperfections we see in the mirror and that we can correct or prevent—things that may be the result of less-than-optimal skin care. Your skin concerns help you find the best corrective treatment. But you’ll learn more about that in the next topic. Your skin type – whether normal, dry, oily, or combination – is a great indicator of what types of products will feel best on your skin. Let’s review some characteristics of each skin type and the texture that feels best. 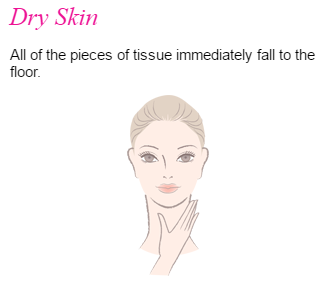 Dry skin feels tight or uncomfortable, and looks rough and dull. Dry skin types tend to like creams because of the richer, more emollient texture. Oily skin feels slippery and looks shiny. 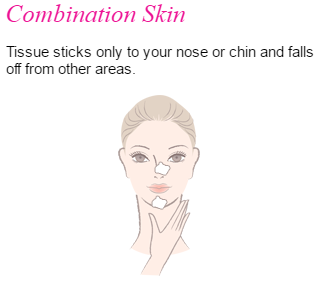 Combination skin is oily in areas, most often the nose, chin, and forehead – the T-zone – and dry on the cheeks. These skin types often like the lighter, fast-absorbing feel of lotions. Often, people with normal skin will use a cream during the cold winter months, and will switch to a lotion when it’s warmer. 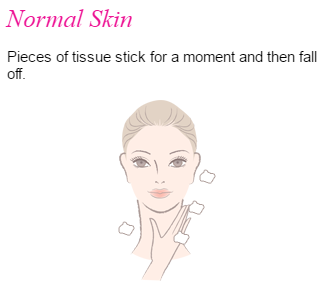 After 15 minutes, take a normal white tissue and tear it into four pieces. 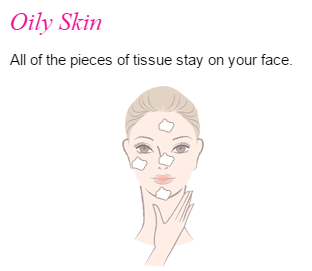 Press one piece of tissue on your forehead, one on the side of your nose, one on your cheek, and one on your chin. What the tissue tells you is your skin type. Our incredible Avon Skin Care Institute has worked with thousands of women over the years, and has identified six common skin concerns. Why Use a Skin Care Regimen? There are some things you do every day, and don’t even think twice about. When you wake up, do you brush your teeth, do your hair, and get dressed? Brushing gives you healthy teeth; styling your hair makes you feel confident; and you get dressed before you start your day. Your skin has different needs that can only be addressed by different steps with different products. Your regimen can be short, simple, and effective. The first step is to properly cleanse the skin. Your skin accumulates dirt and bacteria during the day – believe it or not, much of which comes from your hands, along with oil and old skin cells. Cleansing gently removes unwanted elements and prepares your skin for the next step… Treat. You should cleanse both morning and night. Using lukewarm water, gently lather your cleanser, apply to your face, rinse clean, and pat – don’t rub! – your skin dry. Avoid touching your face after washing. It’s also best to avoid touching your skin throughout the day. Touching your face transfers germs, bacteria, and dirt. For Step 1, Cleanse, Anew has a terrific variety of cleansers to choose from: everything from foaming cleansers to rich, tissue-off creams based on skin needs. Next, you use targeted treatments – often called serums, which are concentrated products that address a particular skin concern, such as fine lines and wrinkles, uneven skin tone, or rough texture. Timing – Treat both morning and night for best results, but always make sure you follow the directions for each serum. Application – After cleansing, apply a small amount of treatment serum to your fingertips. Pat onto your clean, dry skin. Recommendation – Avon has Anew Clinical products to target and help correct the visible signs of almost all skin concerns. Step three is to moisturize. Moisturizers are multitaskers. They maintain or replenish precious moisture while delivering anti-aging benefits. Day moisturizers also offer one of your best anti-aging strategies: sunscreen (or SPF). You should moisturize both morning and night, using a day and night moisturizer. After your treatment serum, apply a nickel-sized dollop of cream or lotion to your fingertips. Gently rub your hands together to warm the product, and press onto the cheeks, forehead, nose, and chin. Your neck needs attention, too! Anew also has a variety of moisturizers to meet your needs. During the final step of the regimen, you finish with care of the skin around your eyes. Eye products help address specific needs like darkness and crow’s feet. Timing – You should care for the skin around your eyes both morning and night. Application – After your moisturizer, use your fourth finger, or ring finger, to gently apply a small amount of eye cream to the area below your eye and at the outer corners. It’s important to use your fourth finger! It’s your weakest finger and won’t pull on the delicate skin around the eye. The skin around the eye is the thinnest on the body. Apply eye cream using your fourth finger with a patting motion. Don’t rub the product in. Recommendation – Anew also has a variety of skin care products for the eyesto meet your needs. Dark Circles – Did you know that the top eye care concern amongst women in the US is dark circles? 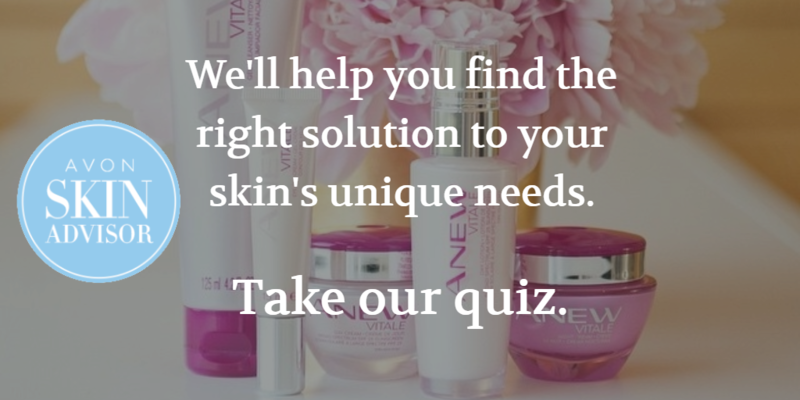 Now that you know more about the different skin types, concerns, and the easy 4 step regimen, it is time to take the quiz to see which products you need. Now that you have your quiz results you can sign up for Avon Auto-Replenishment to help you save money and ensure that you never run out of your favorite Avon Anew Skin Care products. 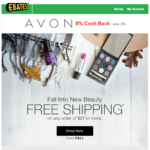 You can enroll to receive your products every 4, 6, 8, or 12 weeks from my eStore. Do you still have questions about your skin care regimen? Would you like free skincare samples? Please reach out to me by filling out this form. I cannot get the skin advisor to work. Please advise! Thank you! Please let me know if you’re still having issues with it.